15 Jan 2019 5:30 p.m. – 15 Jan 2019 8 p.m. The discussion focussed on Chang’s insights into innovation for social good drawn from her decades of experience at Silicon Valley companies and with nonprofits and government, including as a Senior Engineering Director at Google and as Chief Innovation Officer at USAID. 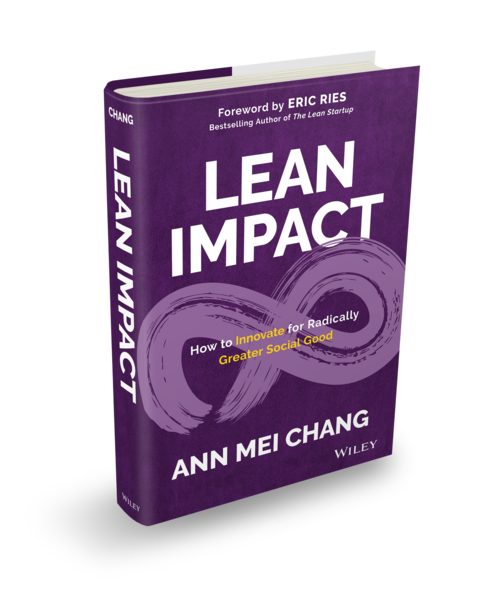 In Lean Impact, she introduces three core guiding principles for change-makers to innovate; think big, start small, and relentlessly seek impact, and as part of the conversation will be sharing some of the real-world stories that helped her shape these principles. There will also be an opportunity for Q&A.